Three people have been arrested on suspicion of attempted kidnap after an incident at an address in Heysham. Police were called at shortly before 10.30pm on Thursday, March 26, to reports that a woman was being forcibly removed from a property on Fairfield Road. 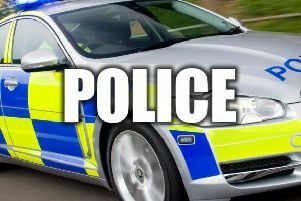 Three people, a man aged 50 from Heysham, a man aged 29 from Morecambe and a woman aged 27 from Morecambe have been arrested on suspicion of attempted kidnap and are currently in custody. The incident is believed to be domestic related. Police could not confirm whether the attempted kidnap was linked to a person being rescued by firefighters from an attic window on Fairfield Road and taken to hospital.